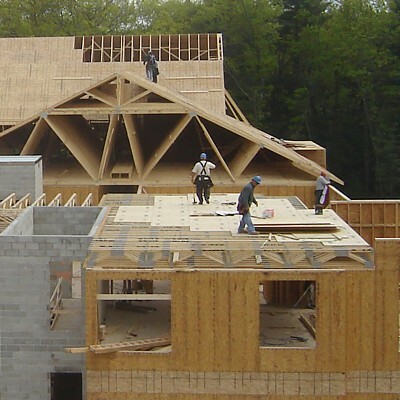 Reliable Truss designs & manufactures wood wall panels, as well as offer precision end trim services. Reliable's marketplace currently includes Massachusetts, Maine, New Hampshire, Vermont, Rhode Island, Connecticut, New York, and New Jersey. 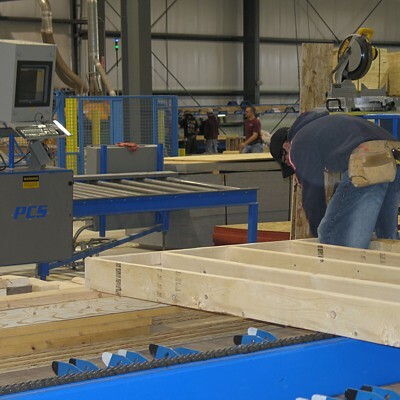 Reliable's wall panel line is unique to the wall panel component manufacturing process. In 2005, to complement our panel design team that had been together for over 10 years, we brought online our wall panel factory. The panel line is supplied by MiTek/PCS equipment and consists of a unique marriage of various assembly components and supporting equipment such as a 6 axis saw. Highly improved saw setup time means that what was once measured in minutes is now accomplished in seconds. Here are several projects for which we have provided wall panels.